Hay Jang, can you make a Hero Factory Japaness Samurai? 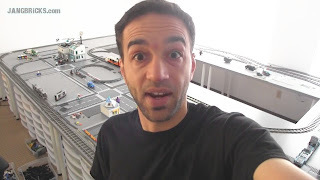 yes that would be awesome that's a cool idea, please Jangbricks could you, you could also have it as a statue for your moc city. yeah that would be cool Jangbricks i would love to see more mocs and you could build heaps of things for your moc table, it would be cool, By The Way has anyone asked you to do business, just wanna know.